Henry Miller Shreve’s Steamboat Washington blows her head! Eight persons scalded to death! Henry Miller Shreve laid the keel of the riverboat Washington September 10, 1815 in Wheeling, Virginia. 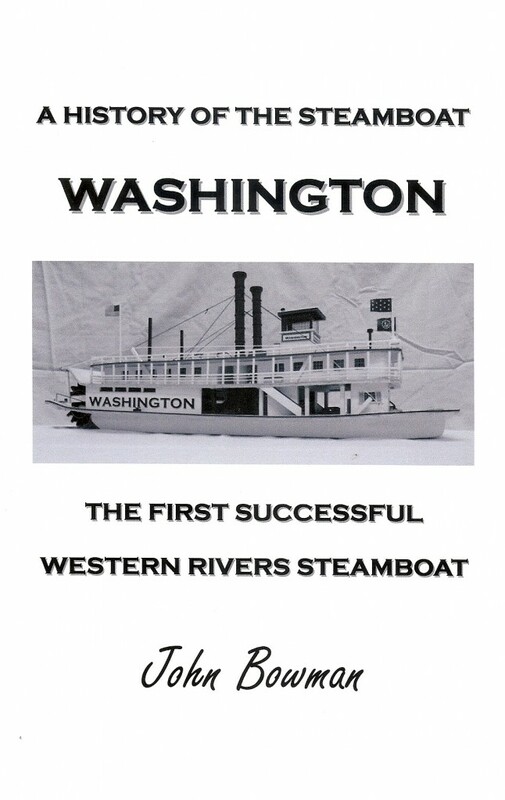 The sternwheel steam-powered Washington was the eighth steamboat built for the Western Rivers. Western Rivers are rivers that flow into the Gulf of Mexico. Shreve placed in the Washington, a high-pressure, non-condensing steam engine, the fourth and most successful of the Daniel French built engines. Shreve’s engine, to his design, was a hybrid of French’s oscillating engine, adding David Prentiss’ cam-wheel. French built the oscillating cylinder engine in a form much like the Oliver Evans patent high-pressure steam engine. The Washington was described as the first “regular high-pressure steamboat.” Shreve’s engines were fixed in place, and placed almost horizontal (a first). The engines had 24-inch cylinders; the pistons inside the cylinders had a six-foot stroke and were directly connected to the paddle wheel through pitman arms. This was different, in that the French engine was connected to the stern-paddle wheel by a beam and the engine itself moved back and forth giving the motion needed to revolve the paddle wheel. “The Washington began her initial voyage from Wheeling, Virginia to New Orleans leaving Wheeling Monday evening, June 3, 1816 with a full crew and twenty-one passengers. Within several days, the Washington had arrived at Marietta, Ohio. The boat left Marietta on Friday, June 7, and on the afternoon of June 8, she anchored off Point Harmar, where she remained during the night. On Sunday morning, June 9, fires were readied and preparations begun for continuing the journey down the Ohio. What actually happened is told in this story from ‘Lloyd’s 1856 Steamboat Directory and Disasters on the Western Waters’; “A Terrific Explosion and Loss of Life On Board the Steamboat Washington.” “This deplorable accident took place on the Ohio River on Sunday the 9th day of June 1816. The Washington was the largest and finest boat, which had hitherto floated on any western stream. Her commander, Captain Shreve, was skilled and experienced in all the duties of his calling; her machinery was all presumed to be in the best possible order, and no human foresight could have anticipated the fatal event. The boat left Marietta, Ohio, on Friday, June 7, and on the afternoon of the following day came safely to anchor off Point Harmar, where she remained until Sunday morning. The fires were now kindled, and other preparations made for continuing the voyage down the Ohio; but a difficulty occurred in getting the boat into a proper position to start the machinery. While laboring to affect this object, the boat having in the meantime, been carried by the force of the current near the Virginia shore, it became necessary to throw out a kedge anchor at the stern. Soon after, all hands were summoned aft to haul in the kedge, and while they were collected on the quarter for that purpose, by a singular and most unfortunate chance, the end of the cylinder nearest the stern was blown off, and a column of scalding water was thrown among the crowd, inflicting the most frightful injuries on nearly all of the boat’s crew, and killing a number on the spot. The cry of consternation and anguish, which then arose, might have been heard for miles. The captain, mate, and several others were blown overboard; but all of these, with the exception of one man, were afterwards rescued from the water, but were found to be more or less injured, either by the fragments of the cylinder or the scalding water. The inhabitants of the neighboring town, now called Harmar, were universally alarmed by the sound of the explosion, which appeared to shake the solid earth to a considerable distance. A number of physicians and many other citizens crowded into the boat to ascertain the extent of the calamity, but no language can describe the scene of misery and torture, which then presented itself to the view of the spectators. The deck was strewn with mangled and writhing human beings, uttering screams and groans of intense suffering. Some, more fortunate than their companions, lay still in the embrace of death. Among the wounded, six or eight, under the influence of their maddening torments, had torn off their clothes, to which the entire skin of their limbs or bodies adhered; the eyes of others had been put out, and their faces were changed to an undistinguishable mass of flesh by the scalding water. But, the greatest sufferers, apparently, were those who had been internally injured by inhaling the scalding steam, the effect of which on the lungs is agonizing beyond all the powers of imagination to conceive. The whole scene was too horrible for description, and it made an impression on the minds of those who witnessed it, which could never be obliterated. The cause of the explosion was a disarrangement of the safety valve, which had become immovable in consequence of the accidental slipping of the weight to the extremity of the lever. The following is a list of the killed and wounded by this calamitous explosion: Killed: Peter Lanfer, B. Harvey, Anna C. Jones, Thomas Brown, James Nulta and Jones, passengers, Samuel Wait a carpenter, (Wait was a Lead Carpenter and builder of the Washington) Jacob a colored cook. Wounded: Captain Shreve, Commander, Mr. Clark, Engineer, James Blair, George White, (White, Master Carpenter and builder of the Washington) Enoch H. McFeeley, Joseph Walsh, John C. Williams, (mortally) passengers. Mr. Williams of Kentucky, the unhappy gentleman last mentioned in the preceding list, while lying in the cabin of the Washington, in his last moments, offered one of the cabin-boys all his money if he would knock him on the head to put a speedy end to his misery. The boy who received this offer, and who relates the incident, is now Captain Hiram Burch, of Marietta, Ohio, Joseph, one of the hands, was missing; he is supposed to have been blown overboard, and carried down by the current. Several of the wounded died a short time afterwards in consequence of their injuries.